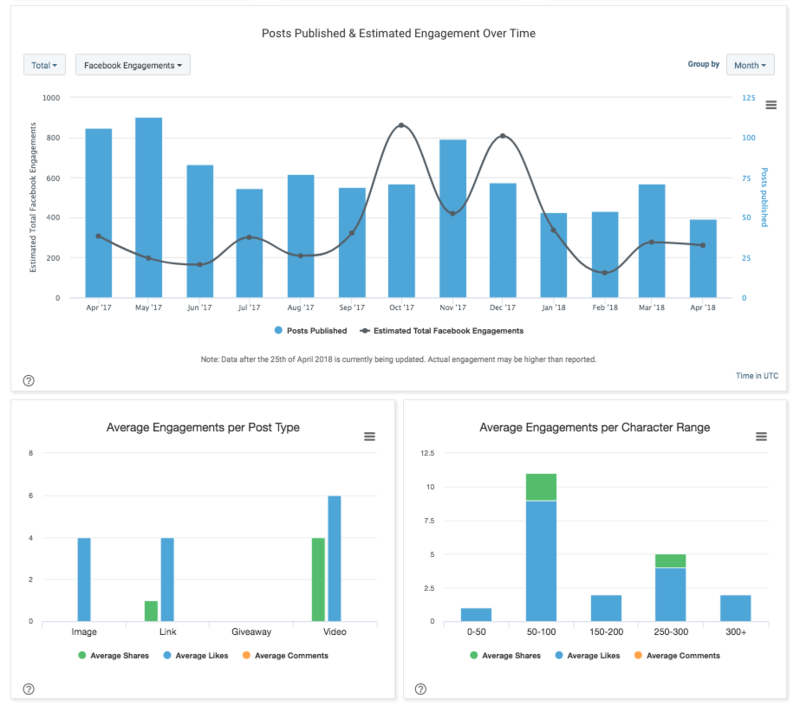 Buzzsumo is a great tool for analyzing how well content performs on social media. Not only is it useful to check your own content performance, but it’s possible to analyze your competitors and overall content in your industry. Simply plug in a keyword or website, and Buzzsumo will show you the most socially shared piece of content related to the keyword or from the website. As you can imagine, this is powerful data for social media and content marketers. In this guide, we’ll break down how to use Buzzsumo to amplify your brand’s social media and content marketing efforts, as well as how to combine it with Sprout Social to take your publishing and analytics to the next level. Whether you’re trying to find content to share, or looking for new content creation ideas, Buzzsumo is a great place to start. Buzzsumo shows you content that has the most shares across Facebook, Reddit, Twitter and Pinterest. Once you know what content has resonated with people in your target audience, you have a better idea of what to create and share. First, do a search for keywords or topics relevant to your industry. For instance, let’s say you’re an email marketing SaaS company. A topic of interest for your audience is probably how to build an email list. So we’ll do a search on Buzzsumo for “email list building”. Note: Use “quotes” in your searches if you want look for exact phrases. And just like that, we have a list of popular articles from around the web to use as inspiration for our own content. We could also schedule these articles to be shared on our social profiles, which is possible through Sprout. Once you find an article that looks promising, click the link to open it up (we always recommend reading content before sharing it on social). This piece from Problogger looks good. Then, you can use Sprout’s browser extension to add it to your queue, schedule it manually or publish immediately. Repeat this process as many times as you want and fill up your social media calendar with plenty of curated content. If you want to just use the content ideas as inspiration for your own posts, simply save the articles you’re interested in to a project in Buzzsumo. That way you’ll have a running list of content ideas to refer to when you’re planning out your blog calendar. By now, we don’t have to sell you on the value of influencer marketing. With brands averaging a $6.50 return for every dollar spent on influencer marketing, it’s a no-brainer. However, just paying the biggest influencer you find to promote your new product or service won’t guarantee success. The “secret” to a successful influencer marketing campaign is to work with the right people. A teen Instagram star that makes slime may have millions of fans, but are they your target audience? That’s when Buzzsumo comes in handy. Use the influencer marketing search to find relevant influencers to connect with and build relationships. 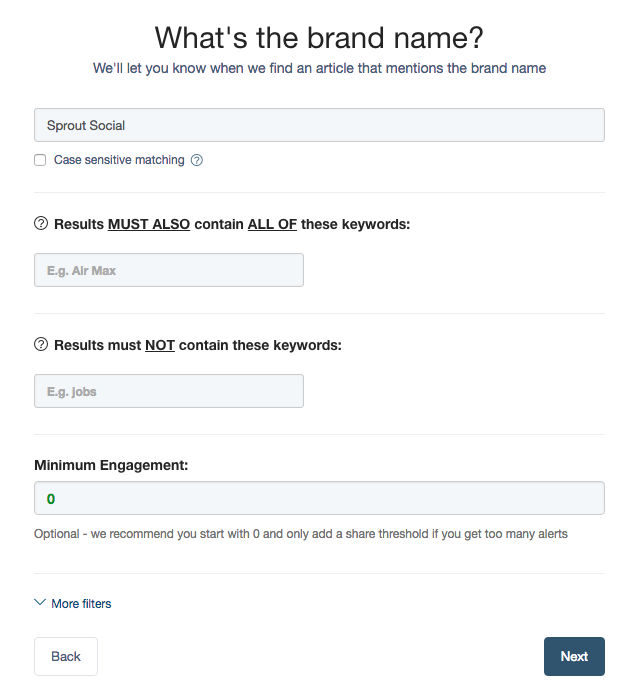 Search by keywords in a user’s Twitter bio, or the content they’ve shared. Keeping with our email marketing software example from earlier, we’ll do a search for popular digital marketers that we could potentially work with. Specifically, we’re looking for influencers that shared an article about email marketing recently. Note: We did a phrase match by using quotations to rule out irrelevant Tweets about emails in general. That’s a great way to target your search. We filtered the results to only show individuals, not businesses or people not in the industry. The more you refine your results, the more targeted your list will be. 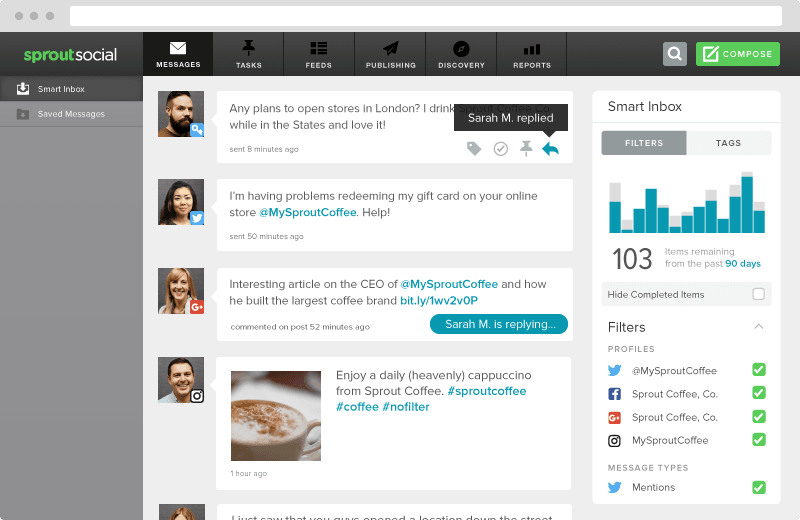 Now we have a list of people to engage with on social and build relationships. Don’t just automatically add everyone Buzzsumo suggests to your list. Manually go through and look for the people who are the most relevant if you want the best results. Also, try not to get caught up in the follower count. Buzzsumo gives you other relevant metrics like Instagram authority score, the average number of Retweets they receive and how much authority their website owns. When you find a relevant influencer you want to add to a list, click the “Save Influencer” button to add them to a specific list. Or export the entire list to a CSV file if you’d like. Ok, so now that you have this huge list of influencers, what next? It’s time to start interacting with them. Remember, most influencers get inundated with emails from people asking them to share content or link to their website. A good way to separate yourself from the pack is to start out by engaging with them on social. Whether it’s sharing their content, mentioning them or replying to their Tweets, the goal is to make them familiar with your brand. We suggest using Sprout’s VIP list feature to weave these influencers into your strategy and make sure you’re consistently engaging with them, especially when they mention or tag you. 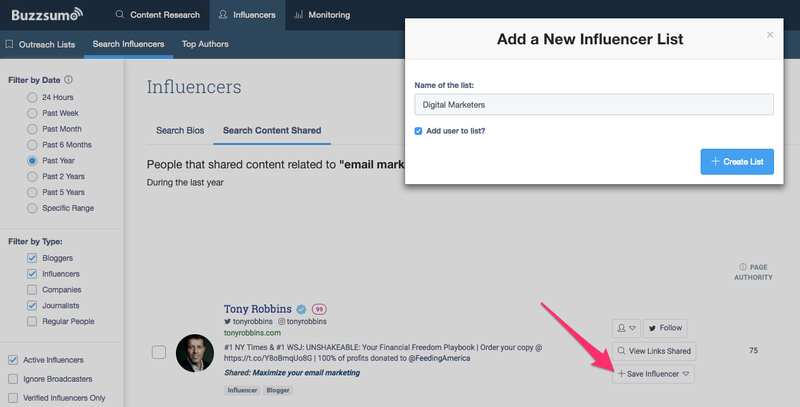 First, export your list of influencers from Buzzsumo–find them under the Project tab. 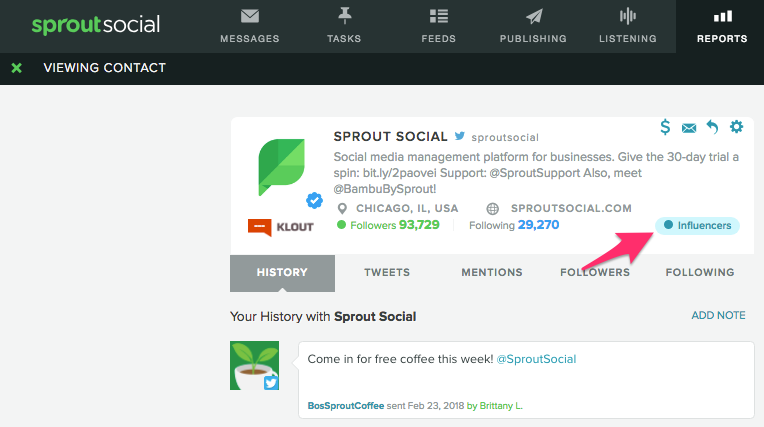 Then in Sprout, simply copy the list of Twitter handles from the CSV and paste it into the VIP list. Don’t forget to label the users in the list something relevant in order to stay organized. Accounts in your VIP lists will have a little identifier letting you know what list they’re in. Whenever you see their tweets pop up, reply to them as soon as possible. 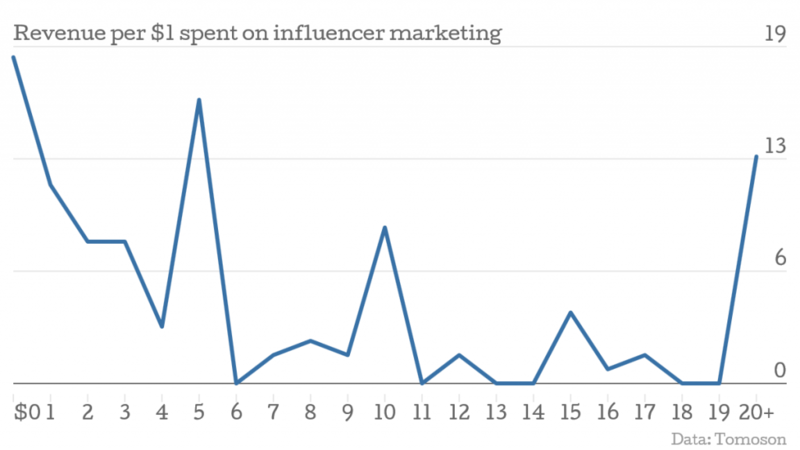 There’s a lot of talk about how to do influencer marketing at a high level. But Buzzsumo and Sprout Social give you the tools you need to actually implement your strategy on a day-to-day basis. Want a creative way to come up with ideas for social media content? Find questions people ask about your industry and create content answering them. 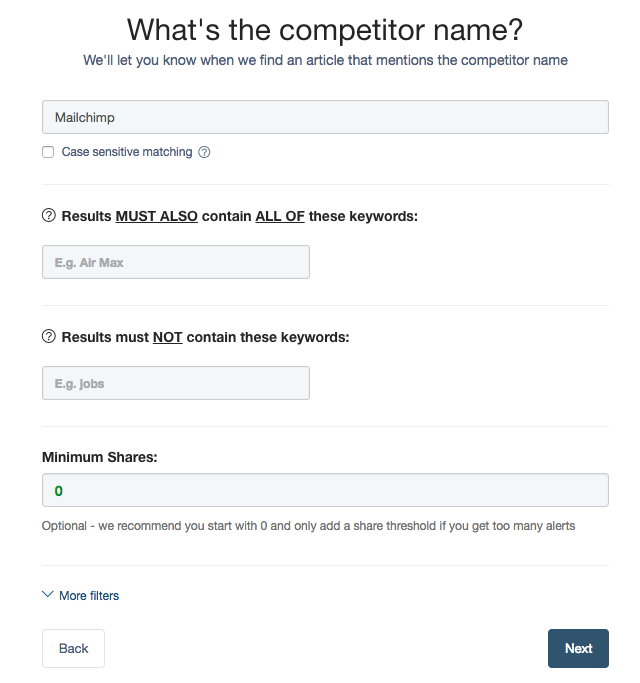 One of Buzzsumo’s newer features is the Question Analyzer. Just enter a topic or keyword and Buzzsumo will find questions from forums, e-commerce sites and Q&A sites. The questions are also grouped into smaller categories/topics. Based on this info, we might make a Facebook video like “5 Tips to Run an Email Campaign for Startups (That Actually Make Money)”. Go through all the questions and look for some common themes. For instance, we saw several questions in our search related to open rates and conversions. That could easily be made into a series of Tweets or videos about email marketing benchmarks. 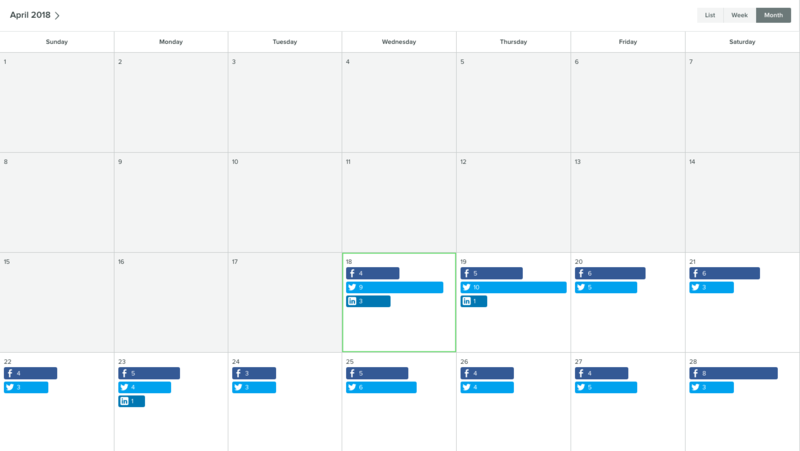 Once you’ve come up with your content ideas, use Sprout to schedule all your content at intervals that make sense. For example, you might create a series where you make an Instagram video answering a frequently asked question every day. Want even more content ideas? 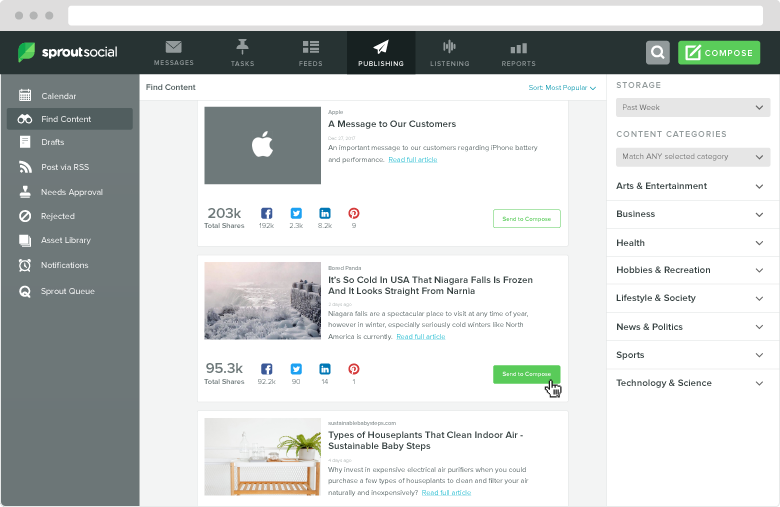 Try out Sprout Social’s Content Suggestions feature. With Content Suggestions, you find the latest content by industry, with the most social shares. Between Buzzsumo and Sprout Social, you’ll never have issues finding ideas for content to create or share. Keeping an eye on what your competitors are doing is a good way to get inspiration and see what’s working (or not working) for them. Buzzsumo’s monitoring tools allow you to see mentions of your competitors on social. When there are sudden spikes the number of mentions a competitor is receiving, it’s a sign there’s big company news or they’ve done something that went viral. Either way, it’s a good idea to stay on top of it. To get started, head over to the Monitoring tab in Buzzsumo and fill out as much information as you’d like. 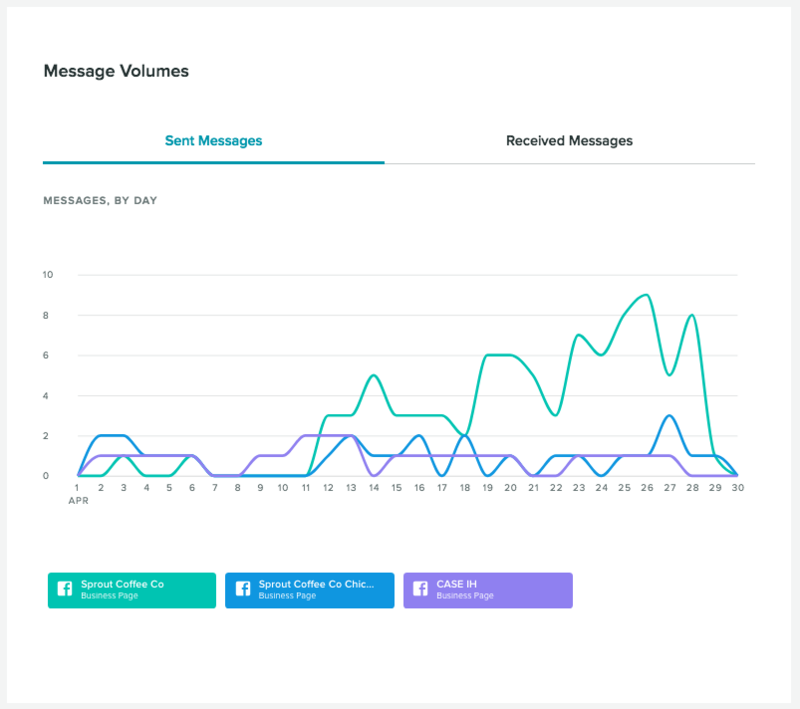 Once you’re all set up, you’ll get a dashboard that’s regularly updated with the choice to receive instant email notifications or a daily report. While you don’t have to obsess over every little thing your competitors do, it’s helpful to see how they’re trending and stay on top of any major changes. Another helpful competitive analysis tool in Buzzsumo for social media marketers is the Facebook Analyzer. Use the Facebook Analyzer to get insights into the top performing Facebook posts by topic or page. Just search for a keyword or page, and Buzzsumo will show you the top posts. Sort by comments, interactions, likes or shares. Wrap your search phrase in quotes like we did if you only want to see posts with the exact phrase. Otherwise you might get some irrelevant posts in your search results. In addition to finding the top posts, it’s easy to switch over to the Analysis tab and see the most popular post types, length, posting time, engagement types and more. The Facebook Analyzer helps on both fronts. For instance, in the screenshot above, we see that posts with 50-100 characters get substantially more engagement than other lengths. And videos outperform images, links and giveaways. 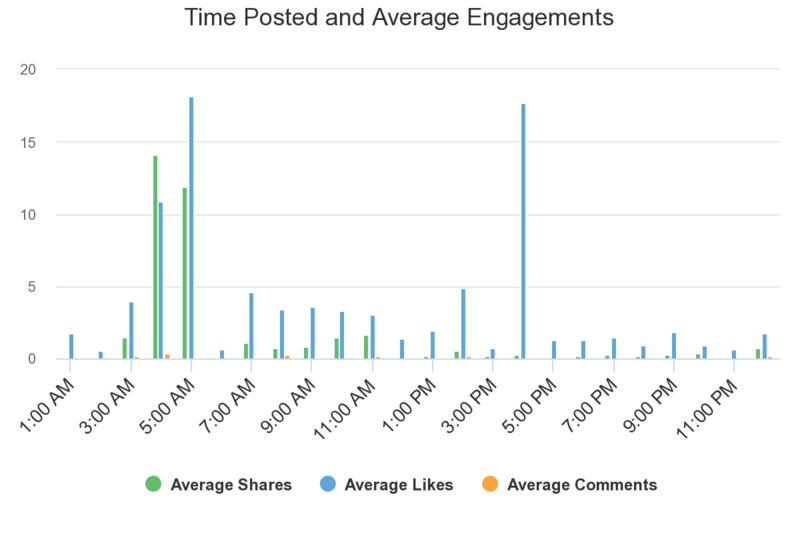 If we look at the “Time Posted and Average Engagements” section of the report, it becomes clear that the best time to post about this topic is in the early morning. 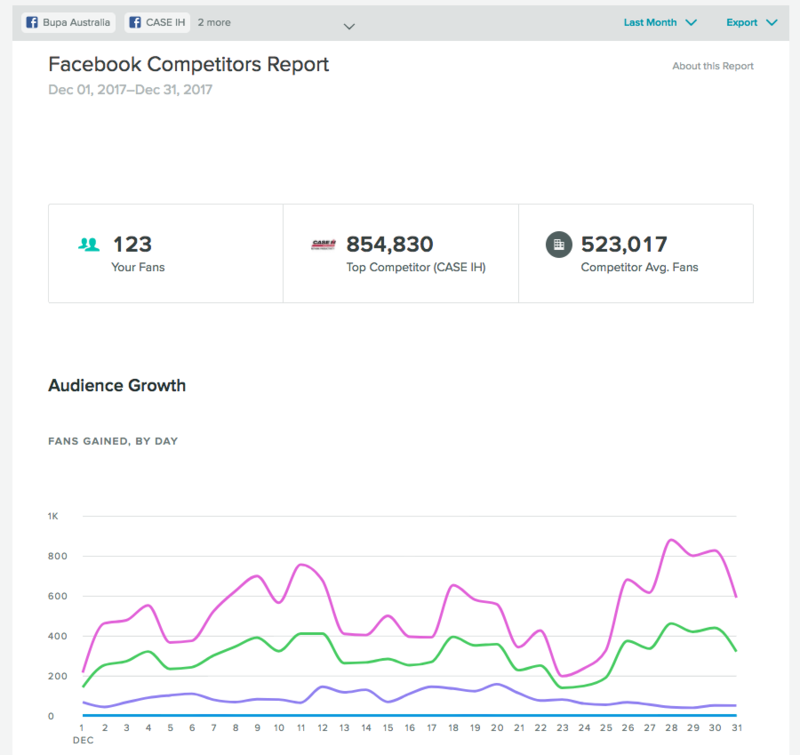 Combine the data you get from Buzzsumo with Sprout’s suite of competitor analytics to get a full picture of how you stack up against the competition. Let’s say you wanted to do a direct comparison of your brand’s Facebook page and specific competitors. You’d use Sprout Social’s Facebook Competitor report to compare sent messages, audience growth and other metrics. Combining Sprout Social and Buzzsumo gives you sweet intel into what’s popular in your industry on social, as well as how you stack up against competitors. When an influential blogger mentions your products or you’re featured by a major news site, you probably want to know about it. In addition to monitoring you competitors, Buzzsumo also monitor mentions of your brand around the web. The process is pretty similar to the one for finding mentions of competitors. Simply head over to the Monitoring tab and create a new alert. Choose “Brand Mentions” as the type of alert. Next, fill out all the info. If your brand name is similar to another company or a bit generic, use the inclusion and exclusion filters to narrow it down. For instance, a company called “Sprout” might want to exclude the word “social” from their search to avoid getting notifications with “Sprout Social” mentions. In addition to setting up a daily email report, Buzzsumo also gives you a dashboard with all the newest mentions of your brand. Buzzsumo is great for monitoring brand mentions across the web, but you need to closely monitor mentions of your brand on social media as well. That’s where Sprout Social comes in. 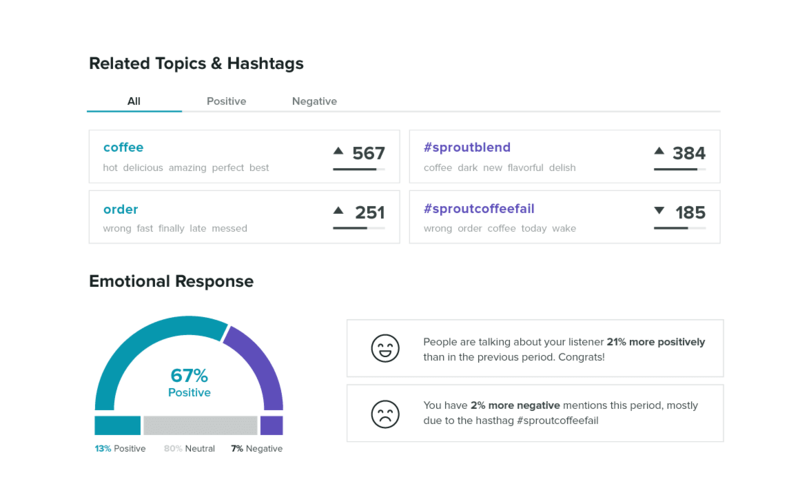 Sprout’s social media monitoring tools let you track your brand name, keywords and hashtags across multiple social channels and profiles. And you see all of the incoming messages in a single inbox. In addition to monitoring individual Tweets and Facebook posts mentioning your brand, we also have some pretty cool social listening features. This is great for when you want to gain market insights, gauge sentiment around a particular social media campaign or just get a broader view of how people feel about your brand on social. As you can see, Buzzsumo is a great tool for sourcing content ideas, spying on competitors, finding influencers and more. When you combine it with Sprout Social, it’s even more powerful. Even though we’ve given you quite a few examples of how to use the two together, we’ve only scratched the surface. Sprout Social has plenty of other helpful features like an image asset library, advanced listening, custom reports and more. And Buzzsumo has Reddit analysis, a trending content report, backlink analysis and other awesome features we know you would use. The best way to see it all is to jump in and get started. 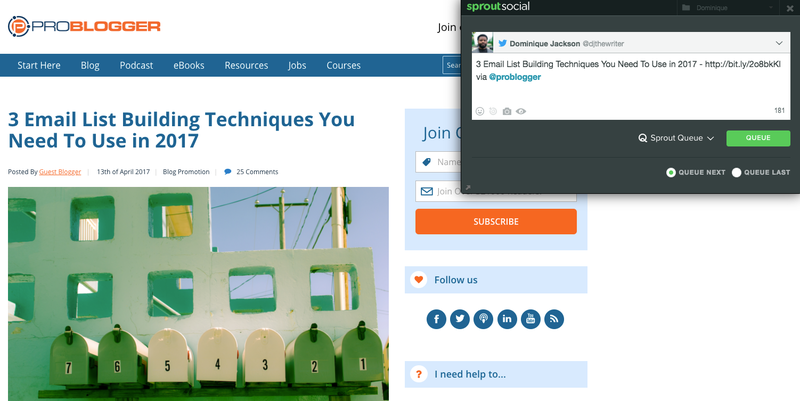 Already a Buzzsumo customer and want to give Sprout a try? Sign up for a free trial here. Are you a current Sprout Social customer, and want to take advantage of some of the Buzzsumo features we mentioned? Learn more here. And if you’re unfamiliar with either, sign up for both. You won’t disappointed!